Saber training develops the fundamental skills required for all other short weapons training, and it is traditionally the first short weapon learned in Chinese martial arts. Qi Xing Dao & Bagua Dao sequences. Experience a private class with Dr. Yang, Jwing-Ming as he teaches the basic sequences and solo drills for Shaolin Saber training in great detail. During the instruction, Dr. Yang also discusses the purpose of sequences and the importance of fundamental training. Saber training develops the skills required for all other short weapons training, and it is traditionally the first short weapon learned in Chinese martial arts. Dr. Yang, Jwing-Ming demonstrates and instructs many solo and partner matching drills. 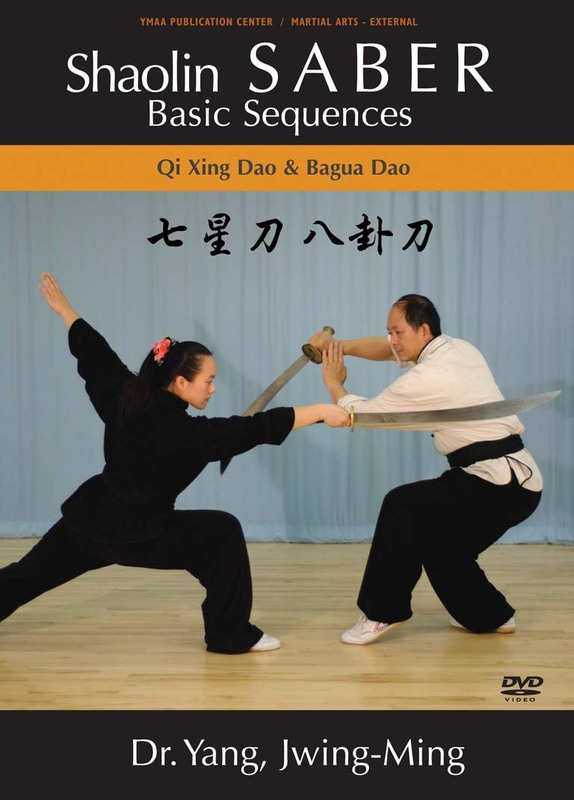 In lesson 2, the first basic Saber sequence, Qi Xing Dao, is taught with martial applications. In Lesson 3, the Bagua Dao sequence is demonstrated, and Dr. Yang offers detailed instruction and corrections to every movement as he and students demonstrate, making it easy for the viewer to learn. This program and the "Saber Fundamental Training DVD" (YMAA) will provide you a complete understanding of Shaolin Saber Theory and Applications. History and Theory of Shaolin Saber lecture by Dr. Yang. Two Complete Sequences with Fundamentals and Applications.